Pittwater is blessed with birds – those that live in trees, and those that live on our foreshores and and in the waters. Just about every other week some resident reports sighting Fairy (or Little) penguins carousing in the waters of Pittwater, fishing mostly – one just this week from Clareville Beach on the estuary is yet another reminder that we share our home waters and beaches with these delightful creatures. They have also been seen to Church Point, as have seals, dolphins and all manner of other aquatic mammal. Secure in this spot at Lion Island, which is stated to be the largest Little or Fairy penguin colony still intact in Sydney, residents delight in seeing them. They are protected not only by the wish to keep their presence part of this place but by their own gregarious nature. IMPORTANT MESSAGE: PLEASE ADHERE TO THE SIGNS AND RULES ON LION ISLAND. IT IS NOT FOR PUBLIC ACCESS. We have had many many enquiries about the Lion island Penguins. We don’t have the information on if the colony was affected, National Parks will hopefully provide an update soon, once they have had a chance to assess. The good news was that the fire was a very slow moving one and started on the top of the island. We are no experts in Little Penguins but is quite possible that any, which were in the immediate area, would have had enough time to waddle away. The fire was contained to the top. Shore areas were left intact. We can report that the crews were joined by a few nosy ones on and off during the night. This one was inspecting Warringah HQ’s crew work. Even Penguins have a fire plan. Scotland Island Rural Fire Brigade: August 26, 2018 - Last night Scotland Island Brigade and other Northern Beaches RFS Brigades (Warringah / Pittwater Headquarters Rural Fire Brigade, West Pittwater, Davidson, Terry Hills) fought a fire on Lion Island in Pittwater. A control line was quickly established restricting the fire to a relatively small section of the island. Crews worked incredibly hard in difficult terrain to protect Lion Island which is a protected nature reserve and in the Australian National Heritage List. 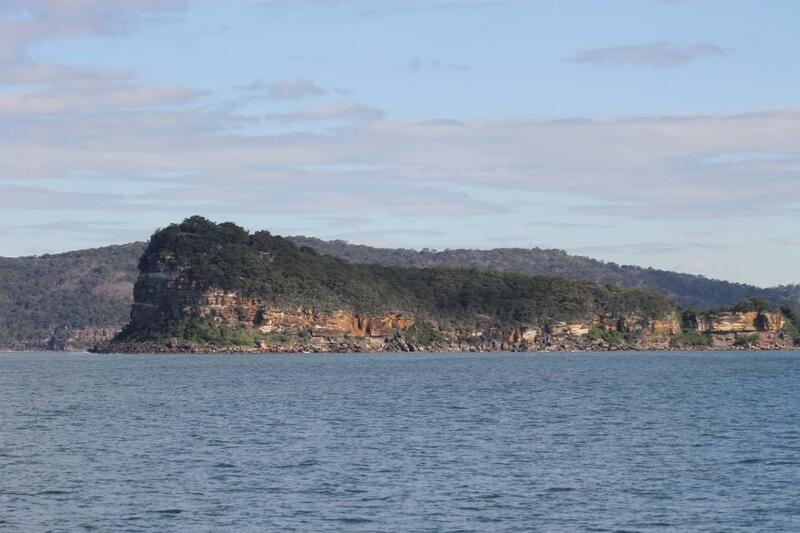 A suggestion to have Lion Island, at the mouth of the Hawkesbury River, declared a bird sanctuary was supported by last meeting of the Gosford Fauna and Flora Protection Society. The Royal Australian Ornithological Society was the forerunner of what we today call BirdLife Australia. In 1956 Lion Island was dedicated as a Fauna Reserve. This was only the 4th Faunal Reserve declared. Cabbage Tree Island was gazetted in 1954 as John Gould Faunal Reserve No.1. It was the first faunal reserve in NSW and was established specifically to protect the breeding site of the endangered Gould’s Petrel. FAUNA PROTECTION ACT, 1948— PROCLAMATION. I, Sir John Northcott, Kniglit Commander of the Most Distinguished Order of Saint Michael and Saint George, Knight Commander of the Royal Victorian Order, Companion of the Most Honourable Orde* of the Bath, Lieutenant-General on the Retired List of the Australian Military Forces, Governor of the State of New South Wales and its "Dependencies in the. Commonwealth of Australia, with the advice of the Executive Council, do, by. this my Proclamation, declafe the land as set out hereunder to be a Faunal Reserve for the purposes of the abovenamed Act. Signed and sealed at Sydney this twenty-ninth day of February, 1956. By His Excellency's Command, J. F. McGRATH. Description. Lion Island Faunal Reserve No. 4. County of Northumberland, parish of Patonga. Elliot or Lion Island situated within Broken Bay. 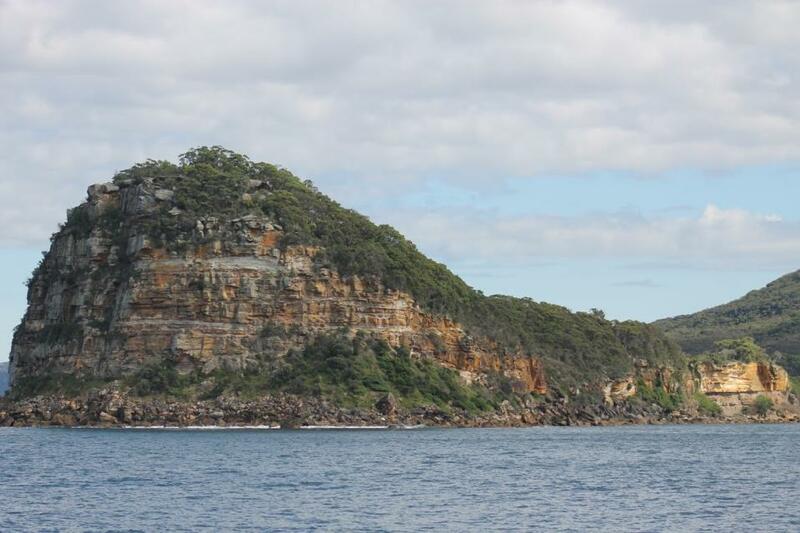 In 1977, the island was reclassified as the Lion Island Nature Reserve (a protected nature reserve), and became part of the Australian National Heritage List in 2006 under Ku-Ring-Gai Chase National Park - Australia's second oldest national park. The island is home to Sydney’s largest population of Little or Fairy penguins (Eudyptula minor) who come ashore each night to sleep in burrows on the hillsides or near rocks. These delightful ocean creatures are said to parade home in the exact same order each evening with each bird remembering its part in this sequence. Shearwaters also breed on this bird sanctuary. At a crowded Museum lecture Mr. Kinghorn told us this unusual incident. One morning towards the end of August, 1921, the peace and serenity of some dwellers at Collaroy Beach were disturbed by extraordinary noises and weird cries at the back door. When the astonished owner of the house opened the door in rushed two little penguins, which with loud voices announced their intentions of staying. Then they danced about and waved their little wings in a most ingratiating way. After a short time these noisy visitors were shown the door, and they disappeared for a while. But, having chosen their home, Mr. and Mrs. Penguin returned later, and as they could not get inside the house they went underneath as far as they could get, and there made their nest of seaweed. The noise every night was almost unbearable; they would scream and cackle, and later, after about six weeks their songs of joy were terrific, for two youngsters were hatched. About four months after their arrival the penguin family suddenly departed. Where they wintered is their own secret: but late in the following August a terrible cackling outside advised these householders that they were back. When the door was opened Mr. and Mrs. Penguin marched triumphantly in, followed by two grown chicks, which were inquisitive and rather shy. Then followed extravagant dances of greeting and vociferous songs of 'Here we are again,' etc., in which the young ones also joined. They could not be quietened, and the neighbours hastened across to see if someone had gone mad. The owners of the house put the whole family down on the beach and drove them away. It was then that the parents sent off the chicks to fend for themselves, and they themselves returned later and went under the house to their old nest. The celebrations were so overpowering that the householders took down some boards next day, got the noisy pair out, and drove them at night by car to Palm Beach, about twelve miles distant, and there left them. But next morning saw them back. They were taken a second time, but returned, and were allowed lo stay; but a home was made for them in the far corner of the garden. The house side was netted off and a hole cut in the fence to allow them free access to the beach. They made a nest of seaweed, and later two eggs were laid. The birds look it in turn to sit on them, and there was always much shouting and scolding when one returned from the sea at night. After about six weeks two sooty-brown chicks appeared, and the noise that night and the next few days while the celebrations lasted was tremendous. The parents took it in turn to fish and swim during the day that followed, but at night they often went out together to find a suitable supper, and about 9 p.m. would return, arguing together as they came up the beach. The following summer my father saw a young penguin land on the rocks at Coogee. I think it quite likely that it was one of the young ones turned out at Collaroy. It was evidently not very used to fending for itself, for a patch of feathers was torn from its shoulder, possibly through not being an adept at landing. "There are over 140 birds seen on Long Reef and 40 of these are listed as NSW threatened or protected species. Long Reef forms an important link with Dee Why Lagoon Wildlife Refuge and the NSW coastline. Birds listed include Lewin’s Rail, Little Grassbird, Little Penguin, Osprey, Sooty Oystercatcher and many migratory wader birds. Little Penguins are seen regularly feeding and swimming off Long Reef. Up until the 1940’s Little Penguins nested on Long Reef Beach." Lion Island Nature Reserve houses a large colony of Little Penguins (Eudyptula minor), estimated at about 300 breeding pairs. A joint project between National Parks and Wildlife and Taronga Zoo has been underway since early 1990 to manage and monitor the colony. This project continued the rehabilitation work on the island and formed part of an ongoing plan to protect the Little Penguin and its habitat. Broadly, the project rehabilitated penguin nesting sites from weed infestation. Other goals achieved included protecting and restoring the diversity of native plant species, monitoring soil stability and surveying the surrounding mainland for Little Penguin habitats and activity. Overall the project made a signifi cant contribution to the long term protection of the Little Penguins by making valuable improvements to their habitat. The persistent and thorough weeding efforts of the team uncovered potential nesting sites and actual burrows, some of which are now in use. The penguin population appears to be stable, as the researchers had hoped. Testing has shown that the weed removal has not caused erosion, and further clearing can continue, as long as sites are quickly revegetated to stabilise the soil. There is an ongoing plan of management for Lion Island that will ensure that the penguins’ habitat continues to be protected. The local bush care group, who have offered their enthusiastic assistance over the past ten years, continue to support the work of the official managers of the nature reserve, and their combined efforts will assist the breeding colony to at least maintain its current numbers. This project has successfully protected and improved the Lion Island penguin habitat, making it one of the most thriving sites for penguin colonies in NSW. The work is not only important, but very rewarding for the team, as every area weeded has a direct and visible benefit for the fauna of the island. Careful management of the different facets of the project and safekeeping of the site location details have ensured continued protection of the vulnerable habitat. Public access to the island is restricted due to the fragile nature of the terrain and the potential damage that can be caused by human traffic. The island nature of the location sometimes caused access problems for the volunteers. Rough seas and rain, as well as closure of the site due to fire danger, meant that some work days were lost. Additional delays were caused when in periods of dry weather native plant growth was slow in weeded areas. These difficulties were overcome by small changes to the programs and by rescheduling lost work days. I have seen a lot of Little (fairy) Penguins in the water at Whale Beach recently. Love seeing and hearing them! I thought they must be nesting on the headland and cliffs between Whale & Palm beaches (maybe they are) but I since learnt that the largest population of this threatened Sydney species is on Lion Island in Broken Bay (Hawksbury River mouth, Pittwater). Just a short swim for a penguin I guess. - Terry Rich, January 24th, 2014 Facebook post. So when you're out enjoying the wonderful Pittwater estuarine beaches this school holidays and see something bobbing about swiftly in the water or waddling ashore to say 'G'day!' you can thank those who started 65 years ago to ensure these little birds are still here and all those who have worked since to Keep them in this place. After all, it's their home too - and was before we got here and should remain so even until today and all the tomorrows. They'll give you a giggle - put a smile on your face. Above: nla.pic-an4335663, Glover, T. G. (Thomas George) Elliott Island, Broken Bay, New South Wales 1878 Oct. 6. , courtesy National Library of Australia. The first place outside Port Jackson to be named was called by Phillip 'Pittwater'. But very few who enjoy the quiet beauty of that delightful portion of the Hawkesbury remember William Pitt, although, so long as English history is written, his name and his work will occupy many pages. Lion Island contains the largest population of little penguins in the Sydney area. In 2007, the population was approximately 300 breeding pairs and appeared to be stable. A more recent study has suggested that the colony has been in steep decline since the 1990s. No primary cause of the decline has been identified. By comparison, the nearby colony at Manly is believed to be stable. Lion Island supports mammalian predators, namely water rats, which have been observed running along the water’s edge at night. Rat nest depredation has been proven to impact the little penguin population on Granite Island in South Australia. In 2012, penguin researchers observed that penguins' feeding trips were much longer than those taken by the population on Bowen Island in the Jervis Bay Territory. Public access to the island is by permit, provided by the National Parks and Wildlife Service Regional Manager, and is restricted to conservation, education and research purposes. No recreational facilities are provided on the island. On the evening of August 25th, 2018 it was reported that Lion Island was fully engulfed in flames following a lightning strike. Further reports in relation to the impact on the island and the island’s fauna are expected. Late Saturday afternoon Brigades from the NSW Rural Fire Service had a fire on Lion Island reported to them. A storm, with lightening, had passed through the Avalon- Whale Beach- Palm Beach area with residents seeing the lightening strike on the ilsand just prior to the fire being seen. "There are a number of factors to consider with this fire, one of them is the native fauna on the island. Lion Island is a Nature Reserve. Discussion with National Parks and Wildlife Service have determined that due to an endangered penguin colony on the western side of the island that firefighters would extinguish the fire." NSWRFS stated. Firefighters undertook a small burn to contain the bushfire. The containment fire was visible from Palm Beach and the Umina-Pearl Beach area. National Parks and Wildlife Service officers will visit the area today (Sunday August 26th) to asses any impact to the native fauna. Lion Island Fire - just after lightning strike Photo: NSW RFS. Although penguins are frequently seen around Sydney’s northern beaches, these are likely to belong to the Lion Island colony. There have also been reports of penguins occurring on the mainland at West Head (in Kuring-gai National Park), near Lion Island, although no confirmed records of nesting birds exist. Four pairs of Little Penguins were known to nest on private property at Avoca Beach, on the Central Coast just north of Sydney in the late 1980s until about 1989 (A. Morris, pers. comm. NPWS). The birds may have abandoned the area due to disturbance by residents. Page 9. 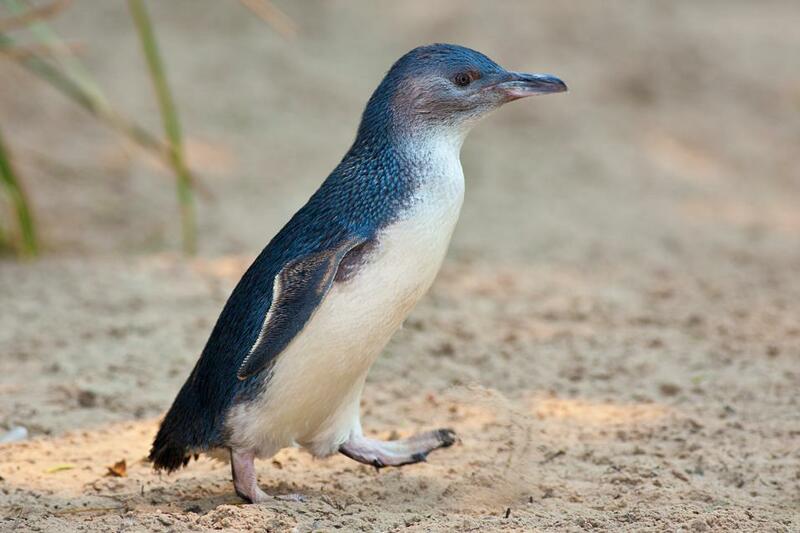 From Endangered Population of Little Penguins (Eudyptula minor) at Manly, Recovery Plan. © NSW National Parks and Wildlife Service, October, 2000. Preliminary studies conducted by Taronga Zoo on Lion Island (Cunnigham et al.1993) commonly recovered blue sprat (Spratelloides delicatulus (Bennett)), common hardyhead (Atherinomorus ogilbyi (Whitley)) and small mouthed hardyhead (Atherinomorus sp. ), indicating these to be the primary prey species of this population. Penguins were also found to feed on southern herring (Herklotsichthys castelnaui Valenciennes), bullseye (Priacanthus spp. ), and to a lesser degree cephalopods. Penguins in captivity at Taronga Zoo generally eat about a third of their body weight (approx. 300g) per day (E. Walraven, pers. comm. Taronga Zoo). Page 17., From Endangered Population of Little Penguins (Eudyptula minor) at Manly, Recovery Plan. © NSW National Parks and Wildlife Service, October, 2000. Australia’s second-oldest national park, Ku-ring-gai Chase National Park and its surrounding nature reserves and islands combine areas of rich historical significance with graceful scenic beauty and high biodiversity values. The park has been a conservation area since 1894. The park’s temperate rainforest, eucalypts, rocky cliffs, plateaus and mangroves contain over 1000 native plant species and scores of species of native moths and butterflies. Native animals such as the spotted-tailed quoll, the southern brown bandicoot, the koala and the eastern bent-wing bat also inhabit the place. Lion Island, adjoining the mainland national park, supports a large breeding colony of little penguins. Scientists consider this colony to be one of the most successful and stable little penguin colonies in Australia. As well as a diverse natural environment, the Ku-ring-gai Chase National Park displays rich evidence of Indigenous occupation over the last 7400 years by the Garrigal people from around Broken Bay and the Terramerragal people from the Turramurra area. Traditional rock engravings and paintings dating back 600 years, grinding grooves, stone arrangements and over 800 documented burial and occupational sites within the park provide significant insights in the cultural and spiritual connection of local Aboriginal people to area. The natural resources of the region were also used by early European settlers. The region was used as a source for timber for boat building. Materials for producing important resources such as soda ash, salt and shell lime were also found in the area. Ku-ring-gai Chase National Park covers the area where the Hawkesbury River meets the sea. Stunning landscapes including drowned river valley estuaries, steep sandstone cliffs and plateaus. Long, Lion and Spectacle islands are remnant peaks of the rugged landscape that existed before water levels rose. The islands display outcrops of the oldest rocks in the region—Narrabeen sandstone and shale. The beauty and solitude of the area was recognised by members of the Drafting Committee of the first Constitutional Convention in 1891. In March that year Samuel Griffith, Edmund Barton, Charles Kingston and John Downer, gathered on the paddle steamer Lucinda which lay at anchor in Pittwater basin for an early attempt to set out the Australian constitution. National Heritage Listing of Ku-ring-gai Chase National Park ensures the protection and enjoyment by future generations of its spectacular and rugged landscape and rich flora and fauna.